Sure did snow last night! I've spent most of this morning shoveling the 24" that collected here but am so thankful we still have electricity. It is much easier to handle with power! It is still storming here and I have taken a few pictures but most are too dull. 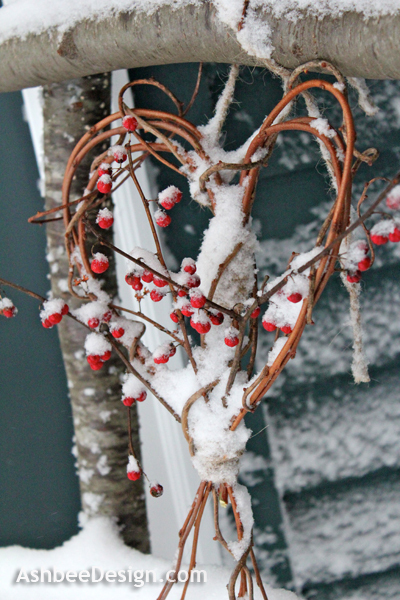 Here are a few of my twig hearts taken this morning. The coating of snow just added to their appeal. 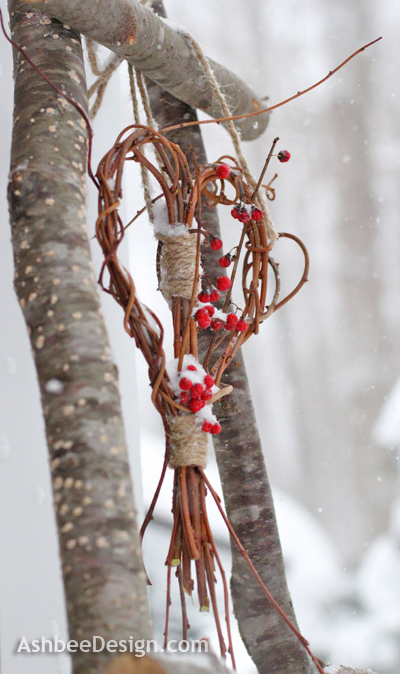 The twig heart tutorial is here in case you missed it last week. What wonderful photos and yes the snow does add to the hearts. Stay safe and warm. 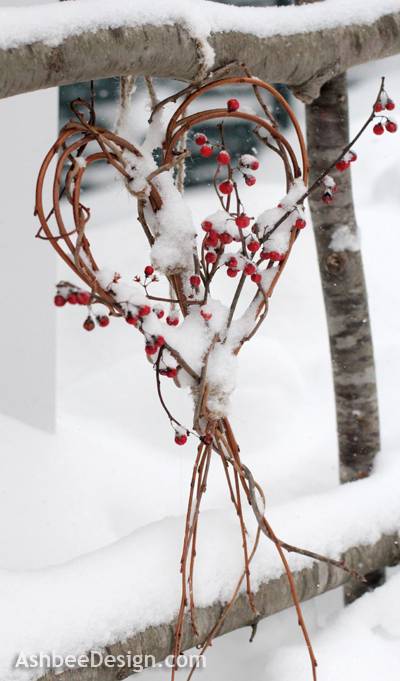 I moved the hearts so they would catch some of the falling snow. I had tried to spray fake snow on my Christmas arrangement here and it looked fake! Went for the real thing this time round. Very pretty. Newly fallen snow is so pretty. It's the aftermath that's hard to deal with! Stay warm. Ah, yes. The day after was beautiful although lots of shoveling and then came the rain and fog. See my next few posts on that mess! Oh wow...so lovely with the snow - perfect pictures! Thanks, for the wishes. I am working on the photography thing. I went out again to try and capture the falling snow and couldn't repeat it. Still learning !